An innovative new device which will help wrist fractures heal faster and can be fitted more easily by surgeons has been developed, and will be manufactured, in South Australia. The VRP 2.0 (Volar Radius Plate) is a joint project between the University of Adelaide’s Institute for Photonics and Advanced Sensing (IPAS) and Austofix, an Adelaide-based medical device company specialising in medical devices. The device design, by Austofix, includes an improved locking mechanism for the plate and an increased variable angle for the screws, which means surgeons can get a better hold on the wrist bone, leading to quicker healing. The VRP 2.0 will be launched by the end of the year, and is expected to be suitable for treating 90 per cent of all wrist fractures. “This is one of the exciting outcomes of the Photonics Catalyst Program which brings together university expertise in laser and other light-based technologies (photonics) with industry to support the development of cutting-edge products,” says Professor Andre Luiten, Director of IPAS, and Chair of Experimental Physics with the School of Physical Sciences. The VRP 2.0 project was part-funded by the State Government through the Photonics Catalyst Program, a joint initiative between the Department of State Development and IPAS. “This project brought together Austofix’s regulatory and clinical expertise, designers and engineers with the advanced manufacturing capabilities at IPAS, including 3D metal printing and ultrasonic milling specialists,” says Mr Chris Henry, Austofix General Manager. Over the six month project in consultation with Australian surgeons, many different designs were considered, prototyped and tested for an optimal solution that meets the needs of orthopaedic surgeons. The work was carried out at the Optofab node of the Australian National Fabrication Facility at the University of Adelaide. The Hon. G.E. GAGO (15:19): My question is to the Minister for Science and Information Economy. Can the minister update the chamber on the recent success of the state government’s Photonics Catalyst Program in the medical devices industry? The Hon. K.J. MAHER (Minister for Employment, Minister for Aboriginal Affairs and Reconciliation, Minister for Manufacturing and Innovation, Minister for Automotive Transformation, Minister for Science and Information Economy) (15:19): I can. I thank the honourable member for her question and her interest in areas concerning science and information economy. I have mentioned before some of the work that is being done in the photonics area in South Australia in the South Australian government’s Photonics Catalyst Program which is connecting South Australian manufacturers with emerging laser and sensor technologies which are being developed at the University of Adelaide’s world-renowned Institute for Photonics and Advanced Sensing. As I have spoken about previously, the government has contributed $1 million to the program to support the development of photonics products, such as sensors, lasers and optical fibres, and encourages collaboration between local companies and researchers. I understand that to date some 14 projects have been accepted into the program, once being considered by a panel of highly skilled professionals including Professor Andre Luiten, Director of the Institute for Photonics and Advanced Sensing; Professor Tanya Monro, Deputy Vice Chancellor for Research and Innovation at the University of South Australia; Jane Rathjen, Deputy Director of Adelaide Research Innovation at the University of Adelaide; and others. SJ Cheesman in Port Pirie, a major engineering and metal fabrication business that is the prime supplier to Nyrstar and other large mining processing industries in Australia, has partnered with IPAS. Through this partnership, SJ Cheesman and IPAS adapted high temperature sensors to be installed into a zinc smelter in order to demonstrate the feasibility of extreme temperature sensing. This will mean that very high temperatures at a number of points in the smelter process can be measured, reducing work stoppages and optimising production. I am happy to inform the chamber that the most recent joint venture between IPAS and local company, Austofix, has now resulted in the development of an innovative wrist fracture product to be manufactured right here in South Australia. 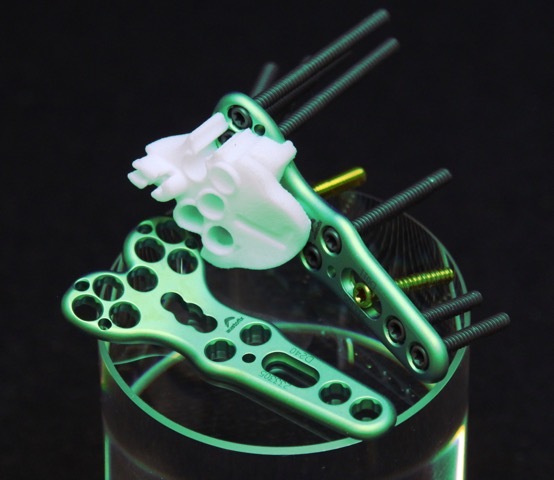 Austofix is based at Thebarton and was established in 1993 to produce orthopaedic medical devices. I understand the company employs around 12 staff and earns 80 per cent of its revenue from selling its products into the export market. The VRP 2.0 volar radius plate will not only help wrist fractures heal faster but can be fitted more easily by surgeons utilising the product than most of the competitors’ products. I am advised that the new product’s innovative design includes an improved locking mechanism for the plate and increased variable angle for the screws, which means that surgeons can get a better hold on the wrist bone, leading to faster healing. While variable angle screws are widely available, this is the first plate that allows for screws up to a 40° angle. The state government has supported the product’s development through providing $30,000 to the project through the Photonics Catalyst Program. This innovative new wrist plate is a great example of collaboration between companies and researchers in our state, especially in the area of advanced manufacturing. It is another critical example of the state’s medical device sector creating new products to emerging markets globally. The Government was committed to maximising the photonics opportunity for the state. It had recently provided $200,000 to the University of Adelaide to undertake a photonics value chain analysis to determine the feasibility of further establishing South Australia as a world recognised location of photonics excellence. Through this financial contribution, IPAS had appointed the international photonics expert Dr Bob Lieberman to deliver the photonics value chain analysis. The Hon. G.A. KANDELAARS ( 14:43 ): My question is to the Minister for Manufacturing and Innovation. Can the minister inform the chamber about opportunities in photonics and advanced sensing that may deliver for South Australia? The Hon. K.J. MAHER (Minister for Employment, Minister for Aboriginal Affairs and Reconciliation, Minister for Manufacturing and Innovation, Minister for Automotive Transformation, Minister for Science and Information Economy) ( 14:43 ): I thank the honourable member for his question and his interest in this area and in areas that are providing future industries and future prospects for South Australia. Last week, I had the opportunity to attend the Institute for Photonics and Advanced Sensing at Adelaide University (IPAS), which I have been to a number of times over the last 12 months or so. While there are a number of distinguished research institutions in South Australia, IPAS is a standout, engaging in cutting-edge research and development with game-changing potential across many areas of industry and technology. The state government is proud to have partnered with IPAS to deliver the Photonics Catalyst Program, which is connecting South Australian manufacturers with emerging laser and sensor technologies being developed by the institute. The seeds we are sowing with programs such as the Photonics Catalyst Program are creating a positive impact for South Australian companies and companies such as Austofix and Trajan. Trajan has been working with the Institute for Photonics and Advanced Sensing to fabricate novel ion transfer tubes for mass spectronomy that are then used to undertake chemical analysis in the medical industry. The company, Trajan, has committed to entering into a strategic alliance with IPAS that will initially result in the establishment of a new office within the IPAS facility at Adelaide University. I understand that they are also investigating the possibility of undertaking larger scale manufacturing in South Australia which may include the transfer of some of the manufacturing that Trajan do elsewhere around the world. The IPAS event last week was a great opportunity for representatives from South Australian companies to hear from several leading speakers about the transformative potential of photonics, sensoring and this sort of measurement. Case studies were presented by Anne Collins from Trajan Scientific and Medical; Chris Henry from Austofix, whose company is engaged in the advanced manufacturing of orthopaedic implants; Dr Gordon Frazer from DSTG, which is involved in the development of things such as the over-the-horizon radar system. The variety of the companies represented at this event signified the breadth of current applications of these technologies for industry, but equally there are applications that are yet to be fully explored. At this event I also had the opportunity to speak with international photonics expert Dr Bob Lieberman, who is President of the International Society for Optics and Photonics. Photonics is a disruptive technology with the potential to be a game-changer for many companies, including South Australian companies, to solve problems for local, interstate and global customers. Photonics devices, such as lasers, sensors and optical fibres, are applicable to a number of important local industries, including resources, medical, defence, food and environmental industries. We know that the photonics global market is estimated to be worth around $540 billion and is expected to grow to $950 billion by 2023, so this industry represents a great opportunity for our local research and local advanced manufacturing. That is why the South Australian government is committed to maximising the opportunity for this state. The government recently provided $200,000 to the University of Adelaide to undertake a photonics value chain analysis to determine the feasibility of further establishing South Australia as a world recognised location of photonics excellence. Through this financial contribution, the Institute for Photonics and Advanced Sensing at Adelaide University has appointed the international photonics expert Dr Bob Lieberman to deliver the photonics value chain analysis. Very simply put, Dr Lieberman’s work will help the state to develop a road map for light-based technologies in a partnership with the University of Adelaide’s Institute for Photonics and Advanced Sensing. This project will deliver a comprehensive analysis of South Australia’s existing photonics capabilities within research and industry; an understanding of current and future global market opportunities that utilise photonics technologies and areas where these can be matched to existing capabilities; the necessary actions and projects for industry, research and government to build a photonics industry in South Australia; and research alignment to industry needs and specific projects to take commercial ready or near commercial ready technology to the market. The road map will provide an important analysis of current and future local, national and international market opportunities relating to photonics. South Australia has globally recognised research expertise in photonics at the University of Adelaide, the University of South Australia, Flinders University and at the Defence Science and Technology Group. We must capitalise on these significant opportunities in this emerging market and the benefits that might present themselves for the South Australian economy. It is expected that this work will provide the foundations for the Institute for Photonics and Advanced Sensing proposed Photonics SA cluster. I look forward to informing the house in the future on the outcomes of Dr Lieberman’s analysis and the very real opportunities this technology offers for industry in South Australia. 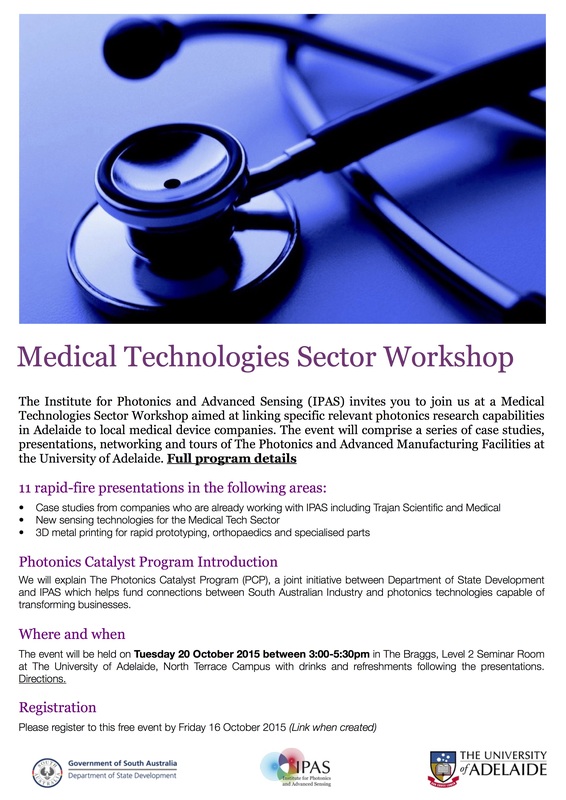 The Institute for Photonics and Advanced Sensing (IPAS) invites you to join us at a Medical Technologies Sector Workshop aimed at linking specific relevant photonics research capabilities in Adelaide to local medical device companies. The event will comprise a series of case studies, presentations, networking and tours of The Photonics and Advanced Manufacturing Facilities at the University of Adelaide. Register now. Parking can be found on Victoria Drive. Enter campus via Gate 8 off Victoria Drive. The Braggs is the large glass building directly ahead of the gate. A research and development and manufacturing hub based on a new generation of specialty glass products for the global science and medical equipment market was announced at the University of Adelaide today. 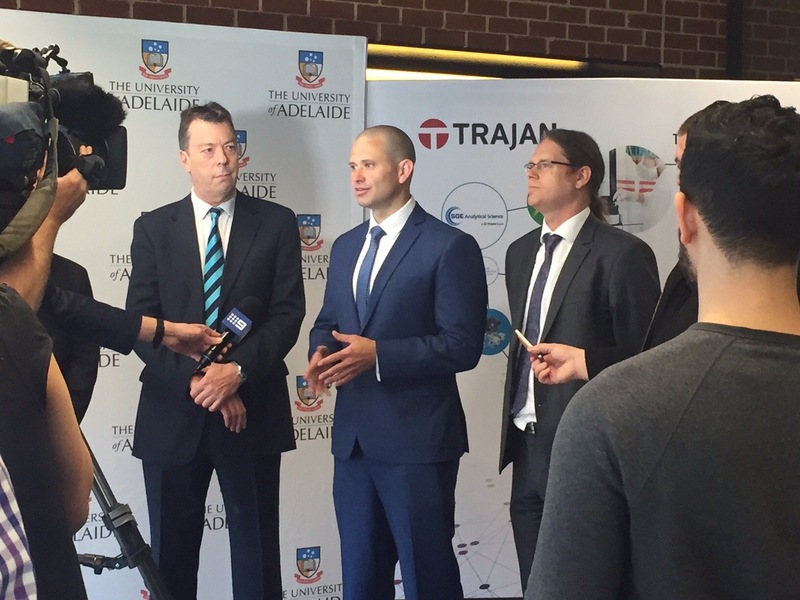 The hub is part of a new landmark collaboration agreement between Trajan Scientific and Medical (Trajan) and the University of Adelaide, and supported by the State Government. The strategic collaboration will help Institute for Photonics and Advanced Sensing (IPAS) researchers commercialise their research into products that ultimately benefit human health and wellbeing. 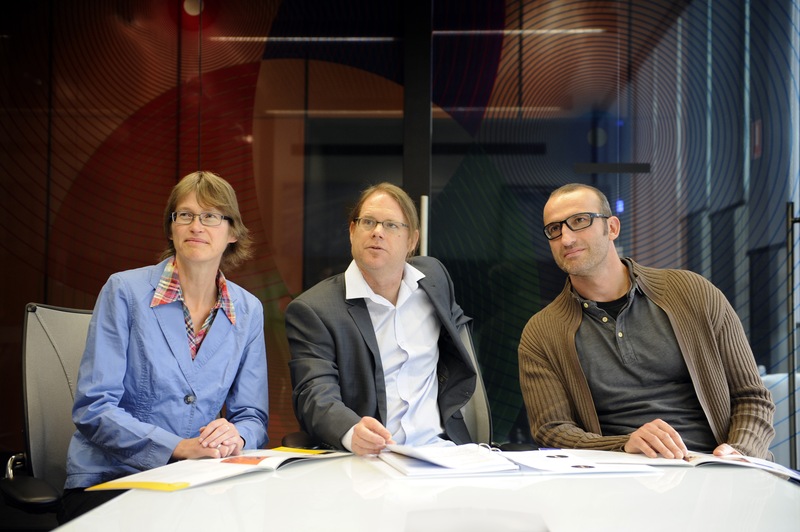 A/Prof Heike Ebendorff-Heidepriem, IPAS Deputy Director will be leading the collaboration with Trajan including the development of a range of specialty glasses and fibres to be used in the medical industry. 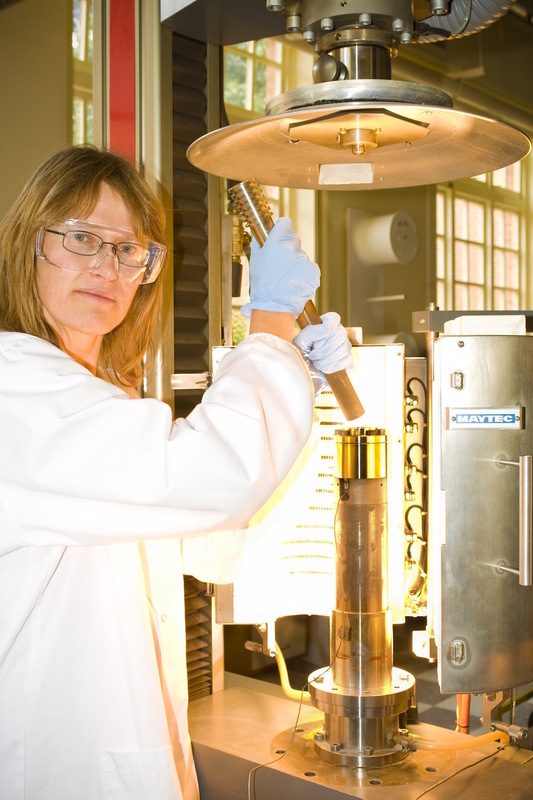 “Trajan’s skills in manufacturing – including processes and systems, quality control, and logistics – combined with our research expertise and facilities will enable transition of research outputs from the University and its partners into commercial manufacturing,” says Professor Mike Brooks, Deputy Vice-Chancellor (Research). The products have the potential to be utilised in a wide range of medical and scientific applications including genetic testing, biomarker discovery and detection, environmental analysis, food safety testing, and testing for drugs of abuse and therapeutic drug monitoring. “Trajan’s global operations and customer base, partnered with the international standing IPAS enjoys as a centre of excellence in photonics and specialty glass technologies, means this collaboration will provide an incredible global platform to promote South Australia,” says Stephen Tomisich, Chief Executive Officer of Trajan. Minister for Health Jack Snelling said the State Government was pleased to support this partnership and had provided $346,000 in funding to help set up the new facility. “Health Industries SA and the Department of State Development have played an important role in supporting the University of Adelaide and Trajan in identifying wider opportunities for the company to grow their presence in South Australia,” Mr Snelling said. Minister for Manufacturing and Innovation Kyam Maher said photonics is a key enabling technology that manufacturers are being encouraged to adopt to improve competitiveness via the State Government’s Manufacturing Works Strategy, along with nanotechnology and medical devices. “Technologies like photonics can enhance a firm’s capacity to innovate in its products, manufacturing processes, capital equipment and engineering systems,” Minister Maher said. 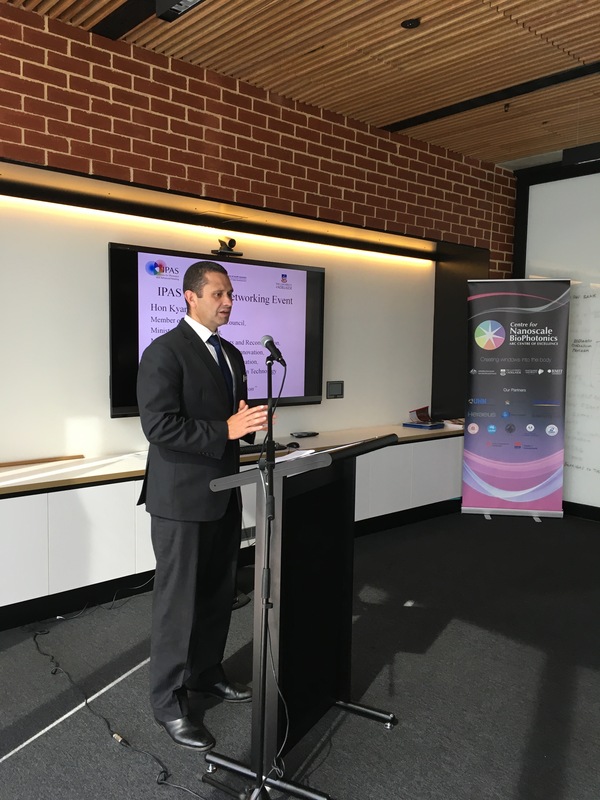 The strategic partnership grew from the Photonics Catalyst Program – a joint initiative between the State Government and IPAS to build connections between SA industry and emerging laser and sensing technologies. Key to the partnership is the presence of the Optofab Node of the Australian National Fabrication Facility at the University. Trajan’s focus is on developing and commercialising technologies that enable analytical systems to be more selective, sensitive and specific for biological, environmental or food related measurements – especially those that can lead to portability, miniaturisation and affordability. The Institute for Photonics and Advanced Sensing (IPAS) will be holding a Resources Sector Workshop aimed at linking resources specific research in Adelaide to local companies. The event will comprise a series of case studies, presentations, networking and tours of The Photonics and Advanced Manufacturing Facilities at the University of Adelaide.